Professor David Knutt and his team are currently leading a controversial campaign to make a deeper and more thorough study of the effects of LSD on the brain. For the first time ever, science has advanced so rapidly that scientists are now able to see imaging of the brain and plan to use this science to discover how LSD can be used to repair damage to the brain. LSD was first discovered by a chemist named Albert Hofmann in 1938 in Switzerland whilst doing some research on blood stimulants. By accidentally dosing himself up with the mind bending drug and having his brain severely twisted for 8 hours, he inadvertently discovered LSD! In the 1940s, 50s and 60s, LSD was often used by Psychiatrists to treat their patients, but they were not able to find any valid medical uses for the drug at that time. The CSI first tested LSD on civilians after they became aware of the existence LSD in the 1950’s when double agent Jozsef Cardinal Mindszenty appeared in court under the influence. This led them to create project MK-ULTRA and a pretty sinister line of questioning with regards to the drug such as ‘could LSD be used for mind control or to make an individual kill themselves?’ Reminiscent of Hannibal Lecter isn’t it! It is no secret that the CIA would also spike each other with the drug at parties for the sake of amusement! They also led army troops and experimented on soldiers with LSD leading them to the discovery that the drug could be used to confuse, disorient and render the soldiers incapable of reacting, making decisions and being aware of their surroundings. It was seen as a potential chemical weapon, that may take out entire military forces. Now in 2016, scientists plan to open up the study into psychoactive drugs for more ethical reasons. Professor Knutt and his team strongly believe that the drug may have many therapeutic uses and may hold the key to treating many conditions from OCD and Severe depression through to schizophrenia. They believe that the brain is set in a way of thinking which makes it hard to break free from certain psychological conditions. Breaking these patterns and allowing the mind to expand may be the secret to curing these conditions. Many Shamanic tribes believed that psychoactive drugs lead to altered states of consciousness. Known as Entheogen’s – literally translating to ‘The Divine Within,’ these drugs were used for there religious and spiritual effects. With the Knutt team leading this extensive research to question whether these drugs can cure conditions of the brain, this is no doubt going to be a highly interesting study. 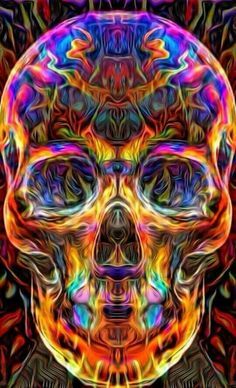 A word of caution however – LSD can send you on an eight hour trip into what seems like the darkest regions of Hell according to many who have lived to tell the tale. Many users of this drug have also ended up in severe accidents or committing suicide after consuming LSD. Don’t try this one at home! Leave it to the doctors to explore this in their safely controlled clinical studies and sit back and watch for the results. It’s going to be fairly entertaining I imagine! See the video!